Genius Test is a so-called ‘testosterone booster’ supplement made by the Genius Brand and sold online at outlets such as Amazon. If you’re looking to discover everything there is to know about Genius Test, then you’re in the right place. Our Genius Test Review is going to focus on all of the important things that you need to know about this particular supplement as we look to see where it stands in relation to the best ‘testosterone boosters’ around right now. The supplement market has grown extremely quickly in recent years, and that means more choice than ever when it comes to picking products in this category. But the extra choice can sometimes make it difficult to pick out which product is the best for your needs. This review is going to bring you all of the key information about Genius Test so you can decide whether it’s worth buying – or if your money would be better spent on something else. We’re going to be focusing on the ingredients formula, the doses and the customer reviews as we look to see where this product stands. So, now that the introductions are out of the way, it’s time to start taking a close look at Genius Test from all angles. What does Genius Test do? So, we’ve already deduced that Genius Test is something called a ‘testosterone booster’ supplement. These are products that usually contain a range of ingredients, such as plant extracts, vitamins and minerals, that have been designed to help support your goals. The Genius Brand is the company behind Genius Test, who appear to be owned by another company called Pacific Coast Naturals. They are based in Redondo Beach, California. We’ve already reviewed their main other supplement called Genius Burn. You’ll find Genius Test on Amazon, where a bottle of 120 capsules costs around $49, making it a mid-range to premium priced supplement. The Amazon listing claims that Genius Test is the “Smart Supplement For Men” and that it has been specifically formulated for “male optimization”. The product description on Amazon claims that Genius Test have found the “synergy needed” to deliver results. The bottle of Genius Test says that it will help with a number of things, including energy levels. So, it all sounds pretty good so far. However, we’ve learnt not to pay too much attention to the marketing hype about supplements and instead prefer to focus on the important things like the ingredients formula and dosages. Let’s move on to that now. Let’s kick off this section by looking at the actual ingredients label as shown on the Genius Test bottle. Firstly, we should praise the Genius Brand for not using a proprietary blend for this supplement. This means that we have transparently been told the exact formula – meaning that we know the ingredients used along with the doses. It goes against the trend of manufacturers using proprietary blends to hide the doses of the individual ingredients. Now let’s focus on the main substances found in the Genius Test pills. • • KSM-66 Ashwagandha – This is a solid place to start for a supplement in this category. 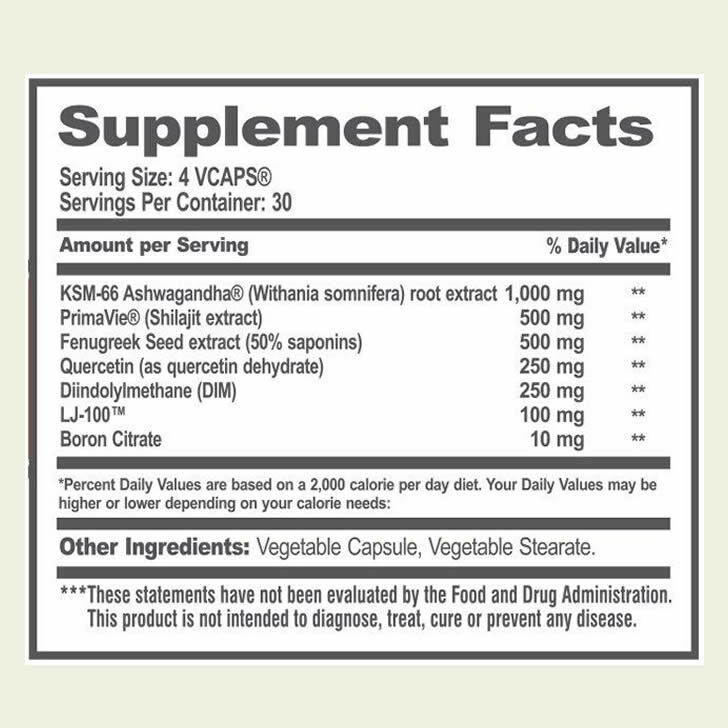 Ashwagandha is a herbal extract that has a long history of use in certain traditional medicines around the world. • Shilajit Extract – This is a mixture of minerals that has been used in traditional Indian medicine for years. It’s sometimes used in supplements of this type but the scientific evidence behind it is limited. • Fenugreek – We always like to see Fenugreek in these kinds of supplements. Fenugreek is already a good source of Zinc, Magnesium and Selenium. It’s a good ingredient in the Genius Test formula. • Quercetin – This is not the most common of ingredients. Quercetin is something called a bioflavonoid. Still, we’re not totally convinced about its inclusion in Genius Test. • Diindolylmethane – Also known as DIM, this is a nutrient found in vegetables such as Broccoli. It’s a fairly common ingredient in this kind of supplement, but we don’t rate it as one of the very best. • LongJack – Again, this is a popular supplement ingredient. Also known as Eurycoma Longifolia, this plant extract is thought to have some benefits. However, the actual evidence behind it is limited, so we don’t think that it’s an amazing ingredient. • Boron – This is a nice ingredient. It’s a dietary mineral which is often used in supplements of this type. It’s one of the main ingredients in one of our top-rated products called Prime Male. The Genius Test ingredients formula is pretty good. It has some decent inclusions and it’s great to see that it doesn’t use a proprietary blend. D-Aspartic Acid is one of our favorite ingredients. You’ll find it in many of the leading products in this category. Meanwhile, Magnesium and Zinc are two essential minerals that are important for a whole host of bodily processes. Specifically, Zinc contributes to the maintenance of normal serum testosterone concentrations. Finally, Black Pepper Extract is a good ingredient for any supplement because it could help to boost the absorption of other ingredients, and that could mean a more effective supplement overall. You can see our pick of the best ‘testosterone booster’ supplements on the market right now by following the link shown below. Are there any Genius Test side effects? The Genius Test formula looks pretty safe to us – and it’s good that it doesn’t use a proprietary blend. However, it’s always a good idea to do some of your own research into the ingredients before thinking about trying any new supplement for the first time. It’s also wise to consult your doctor before thinking about trying any supplementation that you’ve not used before. The bottle contains 120 vegetarian capsules. The directions say that you should take take two capsules with a meal twice a day. That means that one bottle will last you for 30 days. The instructions then go into more detail about the specifics, saying that on days that you are not training, take two capsules in the morning and two capsules at night. On days that you train, take two capsules about an hour before workouts and take two capsules in the morning or at night depending on when you train. It’s good to see that this supplement has clear instructions about how to take it. At the time of writing, there were more than 640 Genius Test reviews on Amazon, which shows that it’s a pretty popular product. It had an average rating of 4.6 out of 5 stars. One very happy customer rated it five stars and said that Genius Test had sent them into a “mid life renaissance”. They were clearly very happy with the product. However, one negative review came from somebody who said that they noticed no difference at all after having taken the supplement for 10 days. Genius Test is a decent product, but we don’t currently rate it as one of the very best supplements on the market right now. That’s because it’s missing some of our favorite ingredients such as D-Aspartic Acid, Magnesium and Zinc. 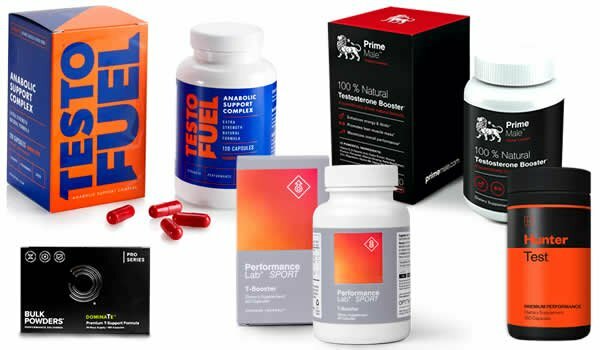 To see which products do make the cut, check out our dedicated testosterone booster guide by following the link shown below. Don’t forget that a supplement should always come second to a healthy and balanced lifestyle. Supplements can make a big difference, but they must be combined with the right lifestyle choices to be effective. That brings us to the end of our Genius Test review. In summary, we think that this is a pretty good product that has some solid ingredients and doesn’t use a proprietary blend. However, we don’t quite rate it as one of the very best supplements on the market right now because it’s missing some important things such as D-Aspartic Acid and Zinc.